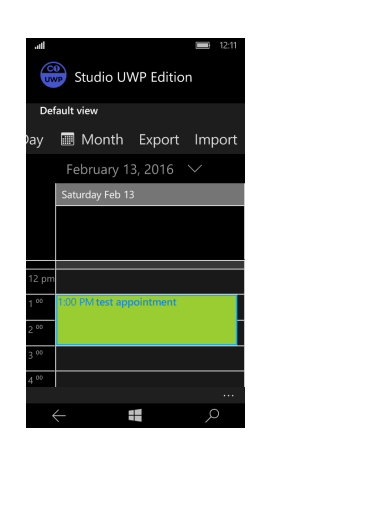 Build your own scheduling apps with ComponentOne Scheduler™ for UWP. 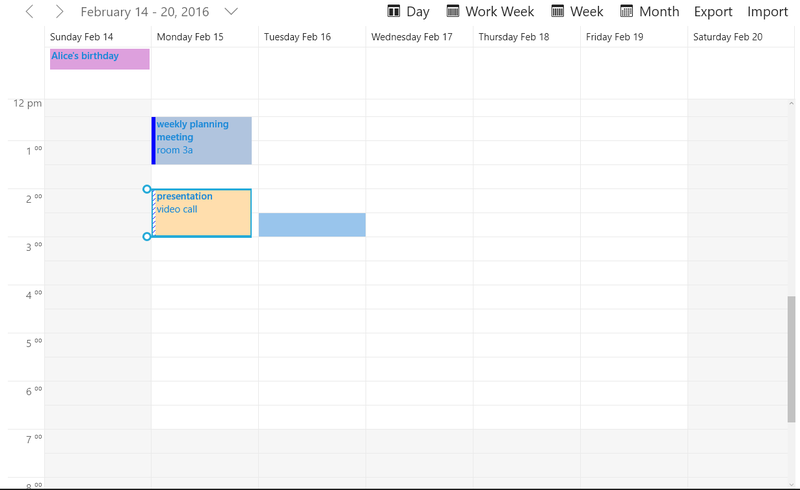 Schedule one-time, all day, or recurring appointments with reminders, labels, and availability status — just like in Microsoft Outlook® and the Windows 10 Calendar app. With complete data binding, import/export, and touch support, developing a complete scheduling app has never been easier. The Scheduler control includes four built-in views, so users can view their schedules by the day, week, work week, or month. The control also supports the creation of custom views. 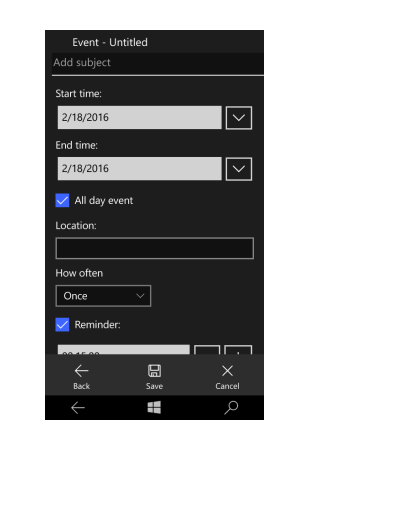 Built for touch-first and immersive Windows apps, the Scheduler control provides gesture-based date navigation. Users can change the current month, week, or day by swiping left or right. The control also works great for desktop and mouse users with navigation buttons and scrollbars. Users can even drag appointments to change their duration and start time. Bind the control to any IEnumerable data source. You can also persist appointment data as XML between runs of the application. Save or load data in XML and iCalendar (iCal) formats. In addition to any of the built-in views, you can create and use custom schedule views to meet your scheduling needs. For example, you can create a week view with the days stacked vertically. Scheduler can display either a toast notification or a standard reminder dialog box at specified times before an appointment occurs. Users have the option to dismiss one or more reminders, open the appointment, or reset the reminder to appear again later (snooze).